Francis’ encyclical on the environment will take its place among at least 10 other papal letters issued over the past 125 years that have not only offered specific judgment and guidance on matters of public morality, but have interrogated their philosophical and moral assumptions from the perspective of scripture and doctrine. So while an encyclical on the environment is an expansion into new moral territory, such expansions are part of a well-established tradition. Dan DiLeo's fine treatment of the gradations of church teaching provides a helpful guide to papal authority regarding specific scientific judgments and policy proposals. The encyclical however, will make a much broader moral judgment of human responsibility in our unfolding environmental crises. This broad moral argument and call to action cannot be reduced to whatever specific policy proposals the encyclical may endorse. The Second Vatican Council taught that “in order to carry forth the work of Christ” the church “has always had the duty of scrutinizing the signs of the times and of interpreting them in the light of the Gospel.” This duty can be traced to the Hebrew Prophets, who spoke God’s judgment on the events of history, making no distinction between secular and religious realms. In the modern era, the church has struggled to balance respect for the growth of technical spheres of knowledge such as economics, medicine, and psychology, with the need to preserve the right to judge their moral dimensions and to interrogate their philosophical premises. This struggle is evident since the birth of modern Catholic social teaching in the papacy of Pope Leo XIII and has repeatedly expanded into additional fields since then. 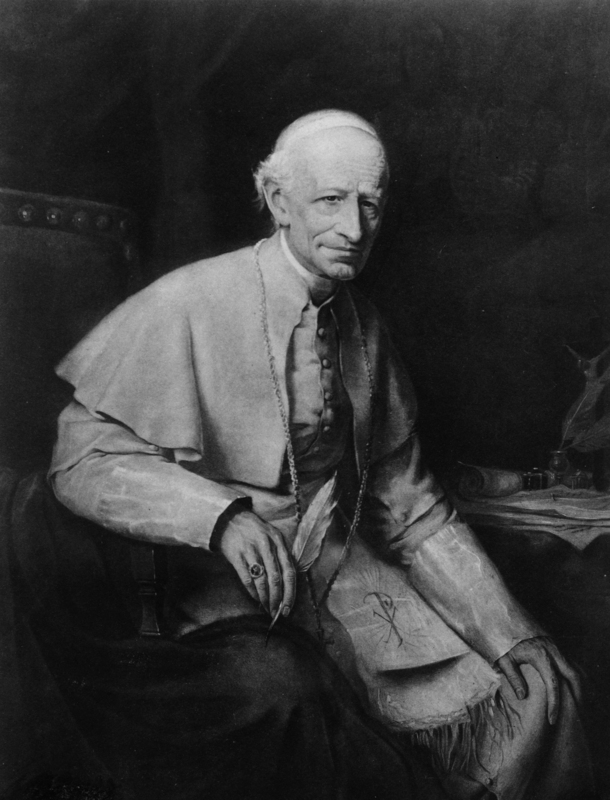 Leo XIII’s 1891 encyclical "Rerum Novarum" entered into the moral and social chaos of the industrial revolution and did not hesitate to evaluate the moral premises of capitalism and socialism. It refused to grant that these were purely technical questions beyond the competence of papal authority. It inaugurated a century-long tradition of papal teaching on matters of labor and economics that has been followed by six subsequent papal encyclicals that have updated its teachings in new historical circumstances not only addressing the practical questions of their day, but doing so in a manner which questions them from the theological perspective of Catholic doctrine. Practical, prudential judgments are always rooted in fundamental doctrinal commitments. In 1963, Pope Saint John XXIII further expanded the scope of papal judgment of secular policies with his landmark encyclical "Pacem in Terris" which waded into the global nuclear tensions in the wake of the Cuban Missile Crisis. He refused to grant that these were matters of technical expertise that should be left to generals and military strategists. Pope John did not hesitate to challenge the nuclear arms race and call for a ban on nuclear weapons. While he recognized that true and lasting peace will ultimately require the conversion of men and women’s souls, this spiritual dimension of the problem did not in any way prevent him from issuing specific judgments of concrete policies on matters of peace, international relations and human rights. He refused to allow the good news of “Peace on Earth” to be reduced to the utilitarian calculus of realpolitik. Pope Francis’s letter on the environment, is thus not at all unusual. It will continue the well-established project inaugurated by Leo XIII’s 124 years ago. Our place in creation is not a topic the church can allow to be reduced to the cramped utilitarian logic of modern technical and economic perspectives. May this encyclical continue the long tradition of its predecessors in spurring our moral imagination and courage to respond yet another crisis of our own making. If Roman Catholic priest Georges Lemaitre could propose in 1927 the Big Bang theory of the origin of the Universe, Pope Francis is perhaps more than capable of credible comment on the environment. Deniers will not admit a connection potentially jeopardizing profit regardless of what experts and/or the Pope conclude. Oklahoma, for example, annually from 1980 to 2010, averaged less than two earthquakes of at least 3.0 magnitude. A magnitude 3.4 quake can move furniture inside homes. For 2015, Oklahoma was on pace for nearly 1000 earthquakes of at least 3.0 magnitude. Experts had a plausible explanation, but deniers of course would admit no connection to business activity. With respect to the previous commenter. Msgr. Lemaitre earned Ph.D.'s in mathematics (Louvain) and Physics (MIT). He was a gifted and highly trained mathematical physicist whose own novel solutions to the equations of general relativity, and analysis of observational data from other astronomers, led him to formulate the Big Bang hypothesis. Pope Francis is not a professional climatologist. His encyclical relies, from a technical point of view, on the expertise of others, but the Holy Father will bring the moral and ethical dimensions of Church teachings to bear on the problem. The two individuals are quite different in their backgrounds, but I await the Holy Father's encyclical teachings with no less enthusiasm than I celebrate the remarkable scientific achievements of Msrg. Lemaitre.